Less than a month till Christmas! I absolutely love this period, the food, the music, the fuzzy films, the jumpers, the festive atmosphere, board games, spending time with friends and family, and of course doing Christmassy Book Tags…well, I thought I would create a Tag myself (others are available), I will tag some people (please don’t feel obligated to do this if you’re really busy), but EVERYONE can do this if you wish!!! I have several books on my Christmas list including Timekeeper by Tara Sim and The Rose and the Dagger by Renee Ahdieh, but the book that is top of my list is The Kite Runner by Khaled Hosseini. The Spy Who Came in From The Cold was my highest rated book, honorable mentions go to The Perks of Being a Wallflower and Glass Sword. “It’s Beginning to look a lot like Christmas…” | Which book has most festive look to it? Palace of Treason by Jason Matthews. This was a tricky one, but I chose this book as the white wolf’s fur on all sides of the book looks like snow when I look at my bookshelf. Moriarty from the Sherlock Holmes Books. He is so deviously clever and manipulative, and his sinister tactics are complex and brilliant, albeit evil. The Holiday is one of my favourite Christmas films, and the two couples Cameron Diaz and Jude Law, and Kate Winslet and Jack Black were so good together. Now it’s time to find two couples who are just as amazing. I am #TeamMaven in Red Queen and Glass Sword, him and Mare. 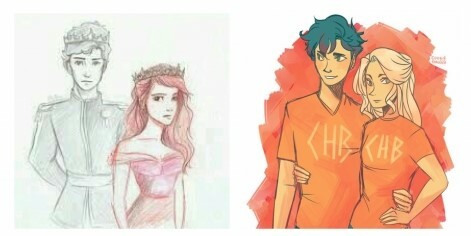 I think I put down Percy and Annabeth for this question on every book tag before…and this one is no different! The Shadow of the Wind by Carlos Ruiz Zafon. I recommend this book every chance I get! The best book of all time. That is all! Have fun doing the tag! Anyone who hasn’t been tagged can also do it! 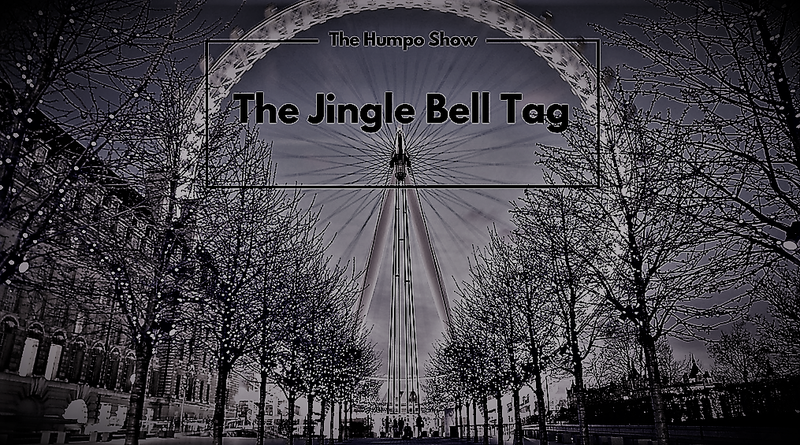 This entry was posted in Christmas and tagged Book Tag, Christmas Book Tag, Christmas Tag, Jingle Bell Tag, Jingle Bell Tag Humpo Show, The Humpo Show, The Jingle Bell Tag. Bookmark the permalink. Nothing like getting in the Christmas spirit. I’ll keep my eyes peeled. I want to do this tag. The Perks of being a Wallflower is one of my favorite books ever, so I’m glad you enjoyed it. I wished I had read Perks sooner, it really is a brilliant book, and the film is great too! Thanks for the tag 😀 I’ll be doing for sure because it seems like loads of fun !! You’re welcome. 🙂 I look forward to reading your answers! What a fun and creative tag! I love Christmas and Christmas music/songs. ❤️ Thanks for tagging me!! Thanks! I’ve already began listening to my Christmas playlist 😀 You’re welcome! So great to know about you on a wonderful occasion..
Feel free to get involved in this tag too! I love doing Christmassy posts like this. I love Christmas tooooo !!! And thanks for tagging me ! !